Demat account is required to credit or debit your purchases and sales of the securities. 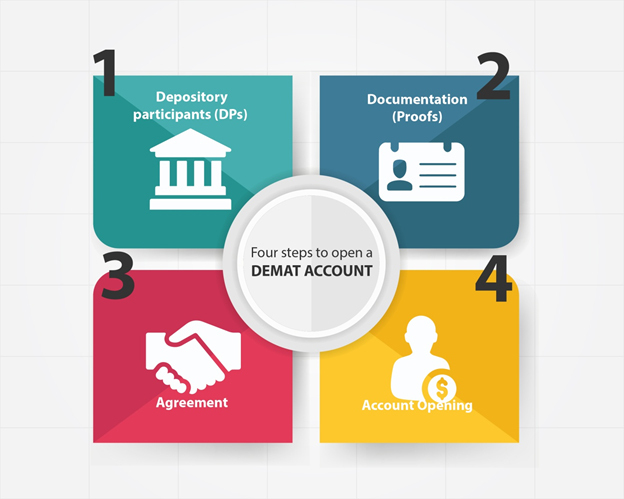 Given below are four simple steps to open a demat account and start trading. The Indian share market provides you with indefinite opportunities to build wealth and to achieve your financial goals. You can invest in numerous asset classes such as stocks, futures, options, commodities, etc. and can earn huge amount of profits, provided you have got a strategy in place. To be able to trade in the share market, the primary thing you will need is a Demat account to credit or debit your purchases and sales of the securities. 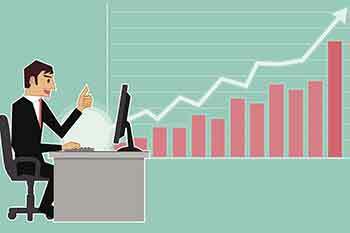 Given below are four simple steps to open a demat account and start trading. Depository participants are banks, brokerage firms, or financial institutions that works as an intermediary between the stock exchange and the investor. They can sell or buy shares on behalf of the investor and assist them in the investment process. The first step in the course of opening a demat account would be to consult a DP and an agent of depository (NSE, BSE, or any institution who holds shares and securities) and fill an account opening form. You should always consider going with a DP who is licensed and is listed with the concerned Depository. The list of all DPs is available on the NSDL and CDSL websites. Identity card with a photograph and address issued by one of the following: Public sector undertaking, central or state government institutions, regulatory/statutory bodies, public financial institutions, or scheduled commercial banks, among others. Bank account statement or passbook, not more than three months old. Proof of address issued by any of the following: Elected representative of the Parliament/ Gazetted officer/ Notary public/ managers of scheduled commercial/co-operative banks. Proof of address in the name of a spouse can also be accepted. After the first two steps are done, you will have to sign an agreement with your DP which provides information about the duties and rights of the Depository participant and the signing investor (you). The rights and duties of the investor are: Right to freeze the account, right to a nominee, right to avail a power of attorney, etc. The rights and duties of the DP, meanwhile, include selling and buying shares on the investor’s behalf, giving a 30-day notice before increasing transaction charges, the right to provide the Depository with the investor’s information if the need arises, etc. You must always read the agreement thoroughly before signing it. After all the necessary formalities are fulfilled, and you have signed the agreement, the DP opens a Demat account for you, and you are provided with your Demat account number, also called as BO ID (Beneficial owner identification number). Congratulations! You can now start trading in the share market. Every security you sell will be debited from your demat account, and every security you buy will be credited to this account. You can open multiple demat accounts with different DPs and close them whenever you want.